4 Bedroom Semi Detached House For Sale in Buckinghamshire for Guide Price £1,499,000. 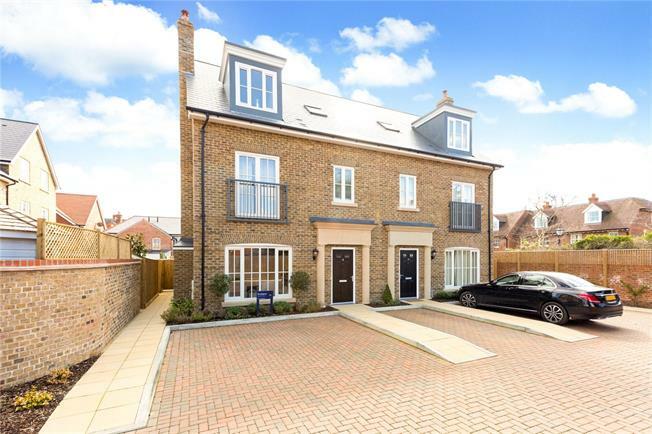 A brand new semi detached townhouse, built to a high specification by Crest Nicholson, set within the established Portland Gardens development in the heart of Marlow town centre. The accommodation is over three floors with a superb kitchen/dining room and sitting room on the ground floor up to the master bedroom suite on the second floor. Offered with no onward chain and immediate completion. There are two allocated parking spaces to the front of the house. The enclosed and south aspect rear garden is mainly laid to lawn with well stocked planted borders and a paved patio terrace adjacent to the house, there is a pergola over an additional area for seating. In addition to the private garden there are areas of communal lawned gardens, planted borders and landscaping within Portland Gardens. 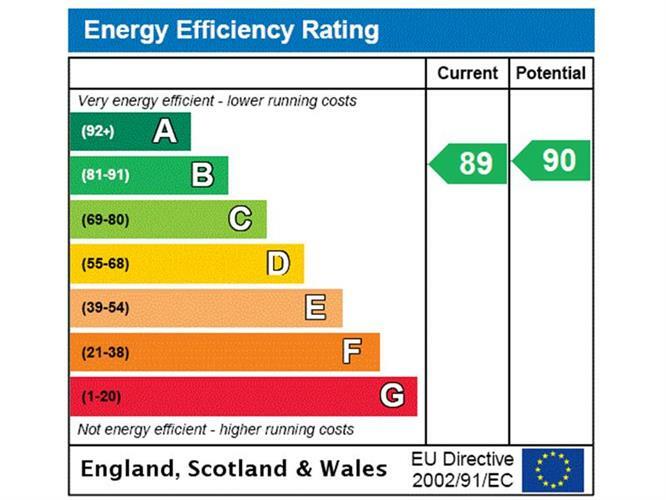 The internal specification of the house is to a high level. The front door opens into the reception hall which in turn provides access to the sitting room, to the fully fitted kitchen/dining room to the rear of the house, and cloakroom with stairs leading up to the first floor. The kitchen includes Silestone worktops, and a range of integrated Siemens appliances including two ovens, induction hob, fridge/freezer, dishwasher, washer/dryer and wine cooler. Bi-fold doors open out onto the patio terrace and rear garden. To the first floor are a guest suite with ensuite shower room, two further bedrooms and family bathroom. On the second floor is the master bedroom suite with dressing area with fitted wardrobes and ensuite bathroom with separate shower cubicle. Both the master bedroom and guest bedroom have built in wardrobes. The bathrooms are fitted with Villeroy & Boch suites, chrome Hansgrohe taps and shower fittings and Porcelanosa wall tiles.